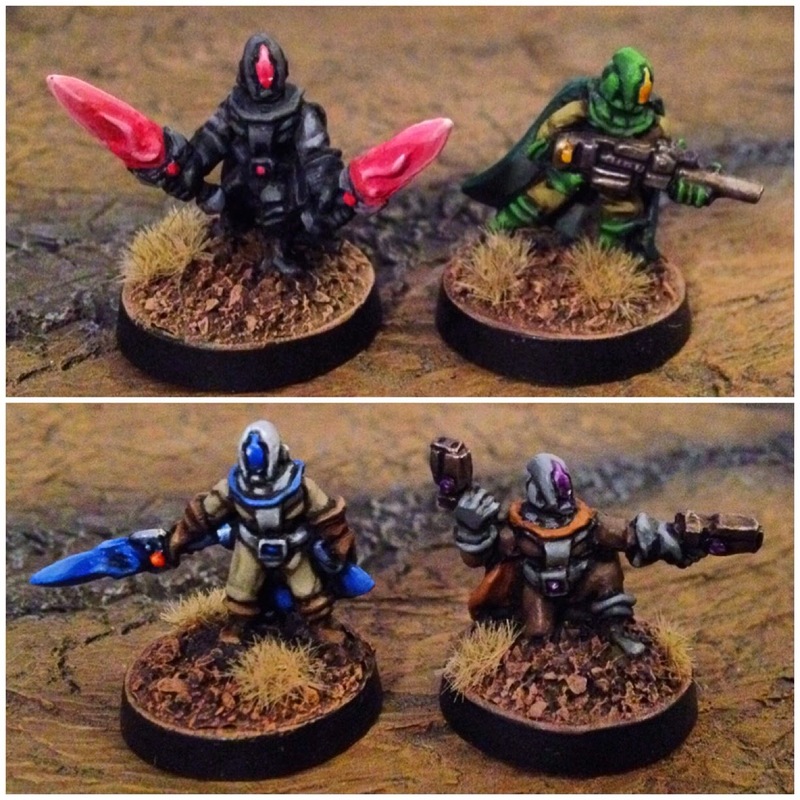 Some nice minis from 15mm.co.uk I just finished. The dual wielding fellows are conversions (done last year!) pictured below. When I posted on instagram, I mentioned the archetypes of warrior, ranger/elf, paladin and rogue being the inspirations. This was a development of being inspired by the video game "Destiny" which I have played a lot of with Mik (of Mik's minis fame) and an international cast of misfits. Sadly, our imminent vanquishing of Crota on hard raid mode has been totally derailed by my internet troubles. I moved house and my ISP bungled the order twice, leading to almost 2 months of down time (fingers crossed for this Friday). So, the first one I did was the blue-bladed "paladin" which is very much in the Destiny cover art palette. When I got to the other three last week, I wanted them to look very distinct, so pushed further into classic adventuring ideas.